Guy Ritchie’s adaptation of Sherlock Holmes hits theatres next week! Robert Downey Jr. plays the witty Sherlock Holmes, Rachel McAdams as the beautiful Irene Adler, and Jude Law as Dr. John Watson. But, before you watch the movie, we challenge you to read the Boy Sherlock Holmes series! 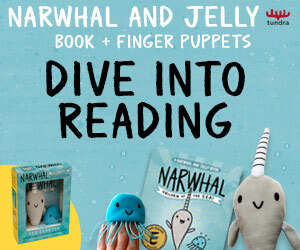 Available on May 11 2010! It is 1868, the week that Benjamin Disraeli becomes Prime Minister of the Empire. Sherlock’s beautiful but poor admirer, Beatrice, the hatter’s daughter, appears at the door late at night. She is terrified, claiming that she and her friend have just been attacked by the Spring Heeled Jack on Westminister Bridge and the fiend has made off with her friend. At first Sherlock things Beatrice simply wants his attention, and he is reluctant to go back to detective work. He also believes that the Jack everyone fears is a fictional figure. But soon he is suspicious of various individuals, several of them close friends. Set in a time when many in England were in a state of fear because a Jew was running the country, Shane Peacock presents a compelling story filled with an atmosphere of paranoia and secrets and surprises played out on late-night London streets. Sherlock gets drawn deeper and deeper into the pursuit of the Spring Heeled Jack, whose attacks grow in number until it seems that there are Jacks everywhere. 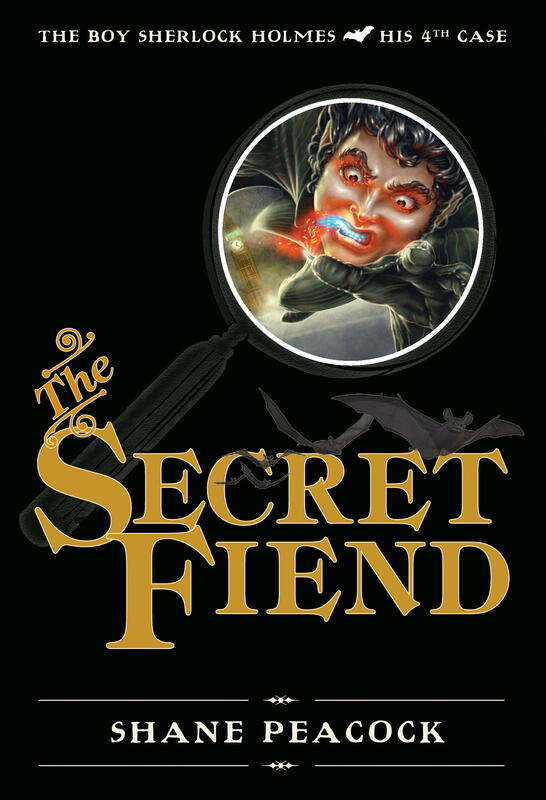 The Secret Fiend is the fourth book in Shane Peacock’s award-winning Boy Sherlock Holmes series, combining brilliant storytelling with fascinating historical detail and a mystery worthy of one of the greatest sleuths in English literature. “Waiting On” Wednesday is a weekly meme hosted by Jill at Breaking the Spine. This event spotlights upcoming releases that we are anticipating. In our case, we are eagerly waiting for the advance copies of next season’s titles to arrive! It is 1868, the week that Benjamin Disraeli becomes Prime Minister of the Empire. Sherlock’s beautiful but poor admirer, Beatrice, the hatter’s daughter, appears at the door late at night. She is terrified, claiming that she and her friend have just been attacked by the Spring Heeled Jack on Westminster Bridge and the fiend has made off with her friend. At first Sherlock thinks Beatrice simply wants his attention, and he is reluctant to go back to detective work. He also believes that the Jack everyone fears is a fictional figure. But soon he is suspicious of various individuals, several of them close friends. Set at a time when many in England were in a state of fear because a Jew was running the country, Shane Peacock presents a compelling story filled with an atmosphere of paranoia and secrets and surprises played out on late-night London streets. Sherlock gets drawn deeper and deeper into the pursuit of the Spring Heeled Jack, whose attacks grow in number until it seems that there are Jacks everywhere. Want to participate? Grab the logo from Breaking the Spine, post your own WoW entry on your blog, and leave a link in the comments section on Jill’s blog!